Located in a key hilltop position along one of Moonee Pond’s most sought after streets, ‘Violetta’ resonates with a by-gone grandeur. Comprising three bedrooms, master with dressing room and en-suite, office, sitting room, bathroom and laundry. Step down to kitchen, lounge and dining with adjoining outdoor lounge, in-ground pool, el fresco dining and built-in BBQ, with two additional sunny courtyards. Upstairs a fourth bedroom, bathroom and teenagers’ retreat/5th bedroom complete with study nook. Further features include zoned ducted heating/cooling with timer, split system inverter air-conditioners upstairs, automatic garden sprinkler system, secure parking for three cars with extra off-street parking, and an underfloor wine cellar sure to please the most serious of oenophile’s. This much loved home, distinguished by sublime fixtures and fittings, is certain to delight its fortunate new occupants. 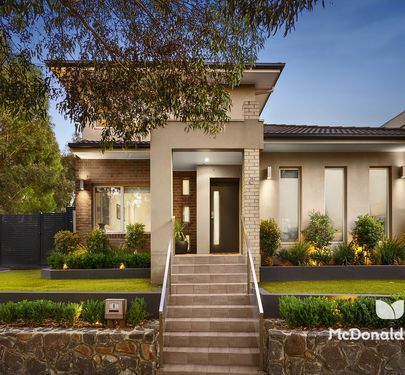 Be spoilt for choice with an exciting opportunity to take this iconic Essendon property and make it your own. 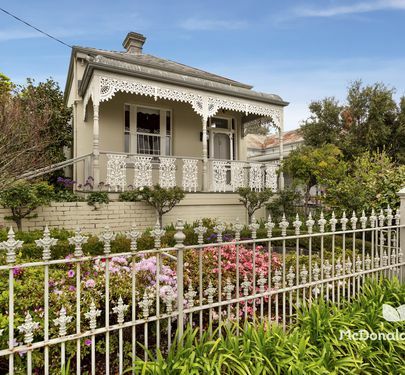 Whether that’s as an extensive light-filled family residence, versatile home business site or even both, this renovated Edwardian beauty presents a range of options and an impressive amount of space. Formerly housing the Karen Leonard Music School for 35 years, this treasured home currently features five large bedrooms (three with BIR and one with WIR/ensuite/kitchenette) plus a front music room, study and separate teen retreat (with WC) as optional extra bedrooms, and a stunning formal dining/sitting room. Over two magnificent floors, the centrepiece of the home is a bright and beautiful open living space with a large and practical corner kitchen, all leading to an extensive sun-splashed deck, private and leafy with a northern aspect. Stunning traditional features retain the home’s period charm, with original leadlight windows, four fireplaces, decorative ceilings and cornices, high skirtings and picture rails. Immaculate throughout, it also features off-street parking, luxurious new carpet, ducted heating, split system air conditioning, granite kitchen benches, integrated dishwasher and stove, stylish terracotta tiles, a large euro laundry, sun-splashed central bathroom, excellent built-in storage, water tank and shed. With public transport on the doorstep, the area’s elite schools are also just minutes away - including Lowther Hall, Penleigh & Essendon Grammar and St. Columba’s. A wonderful home in an exceptional location, the possibilities are limited only by the imagination. ID is required at all opens. A rare and exceptional opportunity awaits for those who seek the perfect setting to bring their ideal family home or development to life. 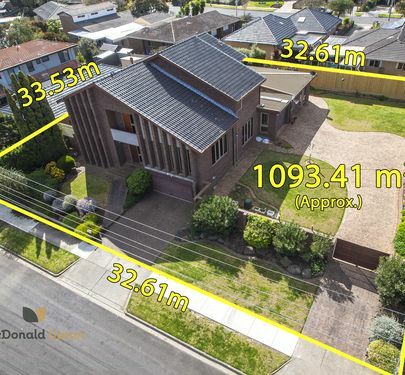 Boasting a coveted position in prestigious pocket of Aberfeldie, huge proportions and favourable dimensions, this enormous block ticks all the boxes as a foundation for making dreams a reality. Graced by a magnificent Pin Oak tree fronting the site, the potential to create a unique home or multiunit development will be limited only by the imagination. 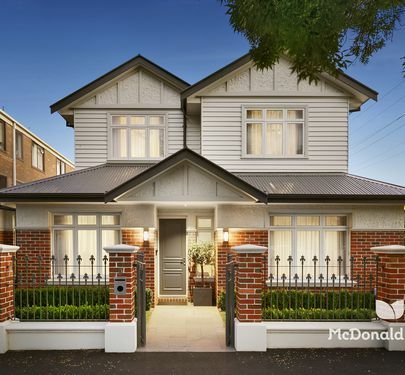 An outstanding opportunity in a prestigious lifestyle location, just walking to distance to every local amenity, trams and trains, and an array of the area’s finest schools including Ave Maria, St Columba’s and Buckley Park Colleges. This immaculately presented weatherboard property located in the historic heart of Strathmore, offers a wealth of life-style possibilities with the floor plan comprising three bedrooms, each with BIRs, master including ensuite, formal lounge, dining room, bright kitchen and open-plan living/dining with airconditioning accessing an entertainers deck, laundry, bathroom and separate toilet. Ducted heating, established gardens and a single garage and additional off-street parking complete this delightful home. 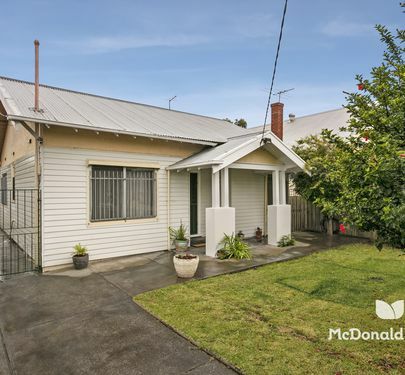 •	Close to Napier Street Village, parks, schools, transport and Citylink. 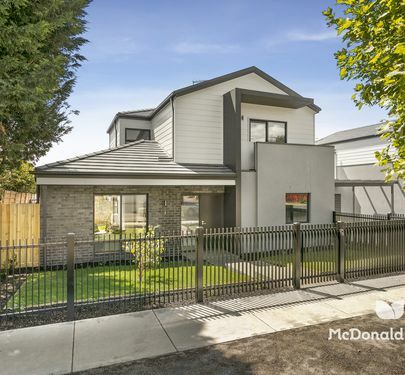 Close to Napier Street Village cafes and shops, Napier Park, Strathmore Primary School and Strathmore Secondary College, with easy access to Citylink and public transport options ensure a connected and convenient way of life. Timelessly elegant, this exquisite home on a deep allotment of approx. 770sqm has been stunningly renovated and extended to offer a family residence of extraordinary proportions and exceptional style. Lovingly restored and owned by the one family for two decades, this is a rare opportunity to secure a large family home in a prime parkside location, blessed with charm and character whilst also boasting amazing living and entertaining spaces. Beyond its stunning facade and manicured gardens, every comfort and luxury a family could wish for lies right here in this superb home, complete with 3m ceilings and baltic pine floorboards throughout. A spacious master bedroom complete with walk-in robe and ensuite with double vanity, marble benchtop and double shower. There are three generously sized bedrooms - two with BIRs and a stylish central bathroom with spa. This incredible property has the ultimate open-plan kitchen, dining and living room with space for even the largest of celebrations. The kitchen features german appliances including pyrolytic oven, microwave combination oven and inbuilt coffee machine. A huge laundry with attic storage completes the picture of a home with everything. Outside, an undercover alfresco deck overlooks a large rear yard and takes in the leafy surrounds of the neighbouring community garden. It also offers the convenience and security of a large double garage (with additional attic storage) and OSP for 5 in total. This house boasts premium features and modern comforts including CBUS automation, ducted heating, refrigerated cooling, Jetmaster fireplace, call to mobile alarm, intercom, water tank and built-in surround sound. 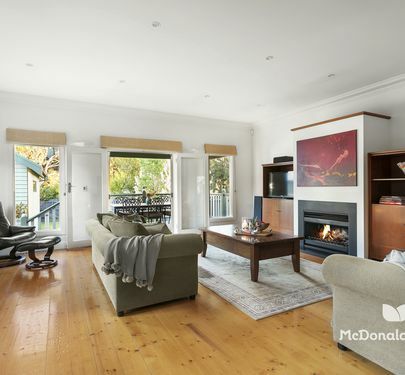 Only minutes away from on/off ramps to CityLink, Melville Road trams, local schools, parks, shops, cafes and restaurants, this property offers the total package in vibrant Brunswick West. A golden opportunity awaits a very astute buyer. 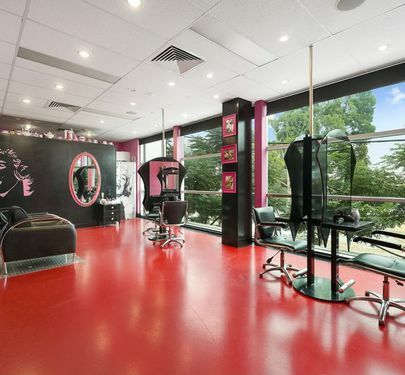 This 734sqm (approx.) vacant site is positioned in a highly sought after Strathmore location. This single dwelling site has a planning permit for a single level four bedroom family home. 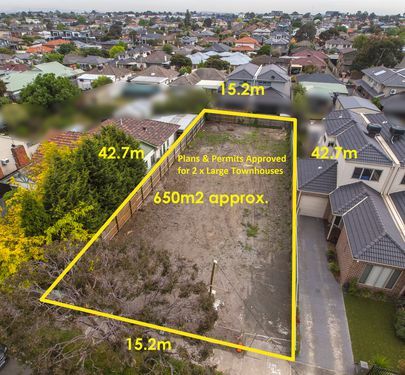 Zoned for Strathmore College and within close proximity to many amenities adds to the appeal of this ready to build site. Reap the rewards and call now for further information. 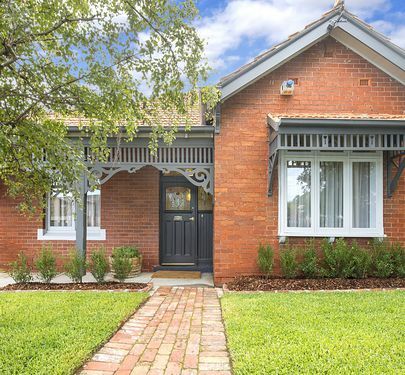 In a prime spot along one of Essendon’s prettiest streets, this freestanding solid brick Victorian charmer features three bedrooms (BIR’s), central bathroom, formal lounge/dining, timber kitchen with granite benches, family living/dining and euro laundry. 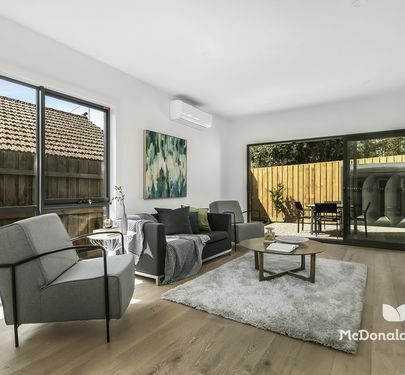 High ceilings, feature tiling, polished timber floors, brass fittings and ceiling fans throughout, ducted floor heating/refrigerated air conditioning, cellar/storage and secure, rear accessed car parking, create the ideal family home. 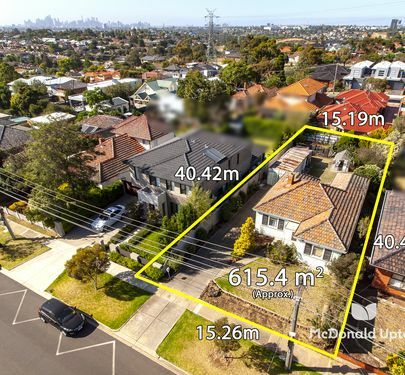 Well within walking distance to rail, tram and bus lines, PEGS, Lowther Hall and St Columba's College, it’s also convenient to Rose Street, Clarinda Park and the buzzing Puckle Street shopping precinct. An easy and connected family lifestyle awaits! Harness your imagination and create a dream home and winning family lifestyle in one of Strathmore’s most popular streets. Occupying a whopping 766sqm (approx.) 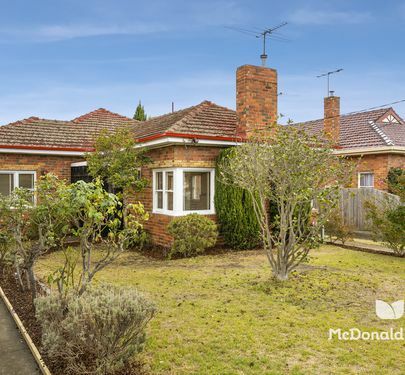 deep block, this brick home has a floor-plan of potential for refurbishment, renovation, extension or possible re-development (STCA). Currently comprising two bedrooms (built-in storage and air-conditioning units), bathroom, lounge, dining room, kitchen, laundry and granny flat/3rd bedroom, single lock-up garage and garden shed. This is a real opportunity to craft a fabulous future, writ large ! Set on 400m2 approx. 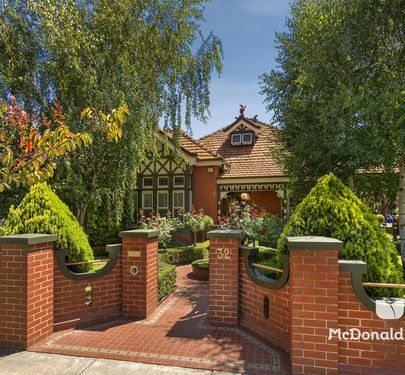 this freestanding Victorian home (with easy rear access) positioned within 700m of Essendon’s renowned private schools. Offering wide entry hall, 3 bedrooms, gleaming kitchen and bathroom and glorious garden surrounds. This elegant home is a must see for professional couples and families seeking a home of comfort, charm and locality. Showcasing proportions rarely seen, this grand one-of-a-kind family home is truly a sight to behold. Complete with versatile living spaces and a clever split-level floor plan, options abound with multiple formal and casual living and entertaining spaces at every turn. Designed to accommodate large families and fit to host extensive celebrations both inside and out, this extraordinary home is unrivalled in the local area and also offers potential to take its aesthetics to the next level with a renovation or refurbishment. Formal living, dining, casual lounge and rumpus rooms all feature on the lower floor while upstairs houses five sizeable bedrooms with extensive built-in storage, including master with ensuite, family bathroom and central balcony. Outdoors, manicured gardens sit on a huge parcel of land (approx. 1093.41sqm), representing a prime opportunity for development (STCA). Boasting an array of quality features including industrial standard central heating and cooling, Miele and Gaggenau appliances, security alarm, garage parking for three, huge separate laundry, tool shed, enclosed outdoor kitchen and extensive underground storage, this home is one that must be seen to be fully appreciated. Rare Vacant Site in one of Strathmore's Premier Streets! This rare, vacant site in one of Strathmore's premier streets is ready for your dreams to materialise. At approx. 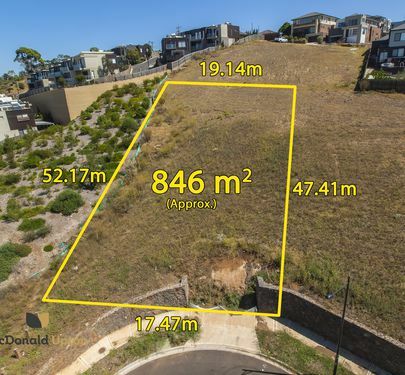 650m2 with a slight slope from front to the rear you can dream big and enjoy the fruits of your imagination by joining the close-knit community of Strathmore. Great schools, local shops, parkland and easy access to freeways, airports and more are all here for your family to enjoy. Overflowing with opportunity, take advantage of existing plans and permits or use your own imagination here at this brilliant development site in a premium family-friendly location. Sitting on vacant land of approx. 650sqm (15.2m x 42.7m), this prime development opportunity is permit ready, with the full suite of plans required to get moving quickly and obtain the relevant building permits, including working drawings, engineering and soil reports and re-establishment already in place. Based on existing plans, the site would house two large two-storey townhouses with either three or four bedrooms, extensive living on both levels, large ground floor master with ensuite and WIR, plus lock-up garage. Spacious and ultra-modern, the design for Unit 1 spans 28sqs while the larger Unit 2 measures 32sqs. Whether you approach this as a blank slate or a work in progress, the opportunity to create the home of your dreams or venture into an exciting investment prospect is one not to be missed! In an enviable Valley Lakes position on a large corner block with a leafy outlook to Steele Creek, this quality family home offers stylish, low-maintenance living and abundant indoor and outdoor space to be enjoyed. Be spoilt for choice with both casual and formal living, a generously sized floor plan throughout, an impressive master suite and the option of three private outdoor areas. Everything today’s family could want is here for the taking, with the extensive ground floor boasting a stunning formal lounge and dining room, large front bedroom or home office, huge open-plan living room and a fabulous kitchen with island bench and butler’s pantry, while a central powder room and separate laundry complement the living spaces. Two gorgeous sun-splashed courtyards flank the home, with the added option of a huge alfresco deck area for endless hours of outdoor entertaining. On the first floor discover a luxurious master bedroom complete with walk-in robe and ensuite bathroom with double vanity and walk-in shower, central bathroom with separate bath and shower, and two further bedrooms complete with BIRs. Immaculately presented with everything you would expect from a sophisticated modern home including polished timber floors, stone benchtops, ducted heating and air conditioning, security system, intercom, double automatic garage, ample storage, water tanks and a sprinkler system to the charming landscaped gardens. 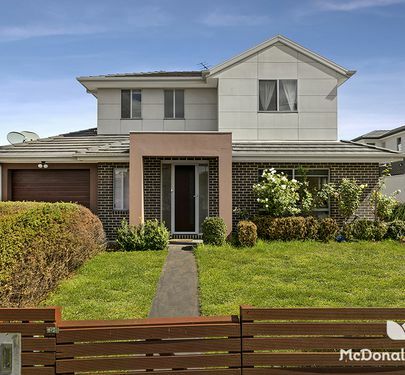 With all the advantages of a quiet family-friendly neighbourhood and bike trails to the Maribyrnong River and the city on the doorstep, this outstanding home is also just minutes from Keilor Road, PEGs, St Bernard’s, a range of quality public schools, public transport options and easy freeway access. Taking pride of place on a substantial north-west facing block, this warm and welcoming family home is the complete package. Superbly presented with generous spaces throughout, dual indoor living zones and an outdoor entertainer’s haven, it is simply ready to be enjoyed. 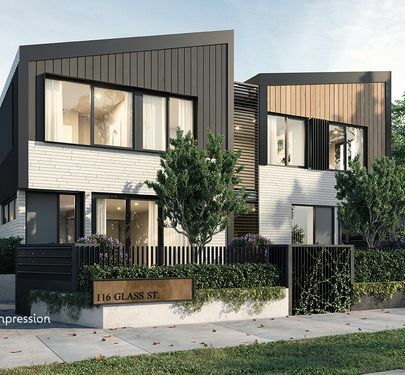 Ideally positioned a stone’s throw from the Moonee Ponds Creek trail and the most sought-after local schools, it’s an easy stroll to Pascoe Vale Station and local bus lines and just minutes from Napier Street, Westfield Shopping Centre and the Tullamarine Freeway. A formal lounge and dining room awaits upon entry, with a large central kitchen flowing to a more relaxed family living room to the rear. Each of the three spacious bedrooms is generously sized with extensive BIRs, the master also boasting an immaculate modern ensuite with floor to ceiling tiles and double vanity, while outdoors you can choose from a covered deck, paved courtyard or leafy private garden for relaxing or entertaining with friends. Warm and welcoming, the home also offers the convenience of ducted heating and refrigerated air conditioning, parquetry floors, excellent storage, solar panels, a double lock-up garage and plenty of additional off-street parking. Whether starting out, upsizing or downsizing, you simply can’t fault this impressive family home. Perfectly positioned in the sought-after leafy surrounds of Rothwell Hill, this classic solid brick Californian Bungalow is a short stroll to trams and trains, Union Road/Puckle Street shops and cafes. Boasting large rooms, stunning period features and a flexible floorplan, this appealing home is set on a corner block of approx. 361m2. 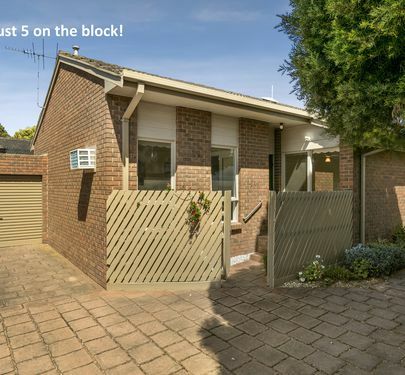 Extremely liveable now, there is plenty of scope to add value for the future in this Blue-Ribbon location. Comprises: formal entry hall, 2 large bedrooms with built in robes, 3rd bedroom OR classic formal lounge with box-bay window, formal living/dining room, modern refurbished kitchen with adjoining meals, central modern bathroom, laundry and separate (second) toilet. Other highlights include ducted heating, spilt system air conditioning, dishwasher, security system, substantial attic storage, high ceilings, classic Baltic pine floors, tuck pointed brickwork and distinctive leadlight windows. Add to this a low maintenance yard with single garage entry plus additional off street car park via side gate from The Parade. 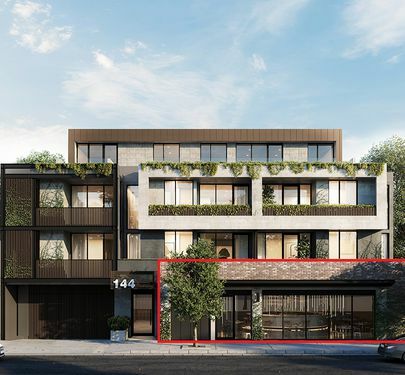 Beautifully situated within a stone's throw to Queen's Park and bustling Puckle Street is this off- the-plan retail space of 182m2. Building has begun. Completion due May 2020. Part of a prestigious boutique block of only 22 apartments, this is the only commercial space within the complex. 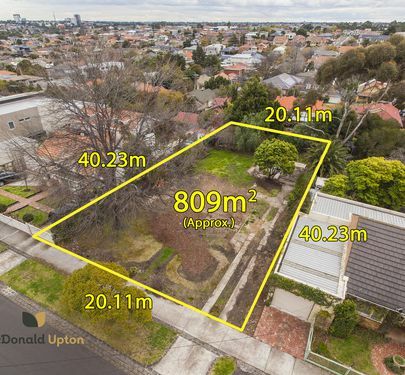 It occupies significant exposure to Pascoe Vale Rd (east side of street) and will suit a host of business possibilities including food,offices, medical etc. Stamp duty savings apply . 1 car space is allocated however other car spaces are up for sale to early bird buyers. For more information please contact Lisa Adamson on 0488 188 893 or Sheryl Upton 0407 528 228. A Solid Brick Home To Enjoy, Or Make Your Own! 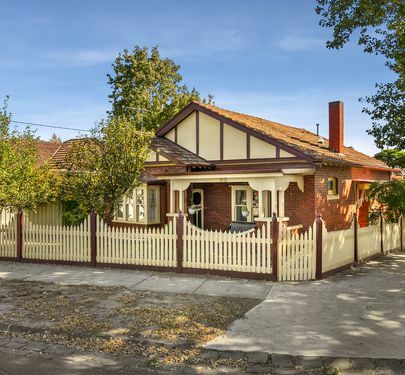 Located walking distance to public transport and close Keilor Road shops and cafe’s, this modernised late Deco clinker brick offers a distinct retro feel with decorative ceiling moulds, original light fittings, fire places, timber floors and rose-gold feature mirrors. Featuring master bedroom (built-in wardrobes/vanity dresser), lounge with separate cooling/heating, dining, kitchen and meals area, laundry, toilet, bathroom and second bedroom. Out back, a double lock-up shed and secure two car garage with room for additional off-street parking. 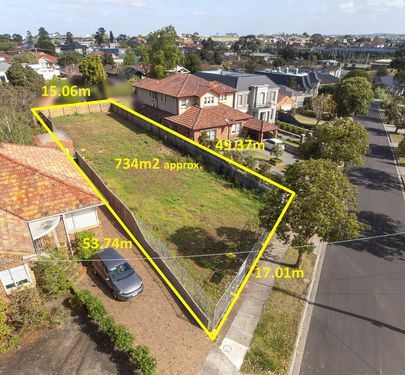 Situated on a 572sqm lot and zoned for the well regarded Buckley Park College, here is your chance to revitalise and extend a classic, construct your dream family home or re-develop the block (STCA). Brass Edition is a boutique collection of twenty two meticulously crafted apartments, specifically designed to meet the expectations of owner-occupiers. 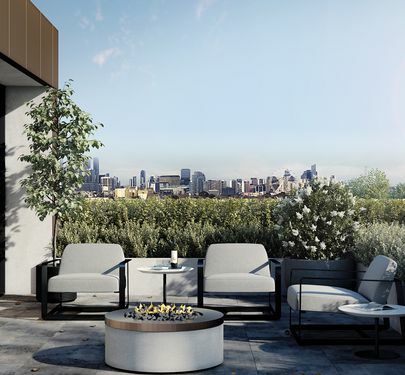 Designed by esteemed architects Clarke Hopkins Clarke and brought to you by Empire Properties, these sophisticated residences are perfectly located within the most sought-after pocket of Moonee Ponds and situated just 100 metres from Queens Park. Harmoniously blending both heritage and modern design elements, this showpiece, the four-level building will ooze curb appeal and stand the test of time. Taking cues from its refined industrial heritage, The Brass Edition boasts large terraces framed by floor to ceiling windows, loads of natural light, built-in planter boxes and arbours, 2.7m ceiling heights, double garages, extra car spaces are also for sale, spacious open living, flexibility to customise and a selection of views including uninterrupted views of the city. Luxurious high-end finishes and fixtures adorn each residence and may be customised in open consultation with the builder/developer. Golden Chance to Develop Winning Lifestyle! 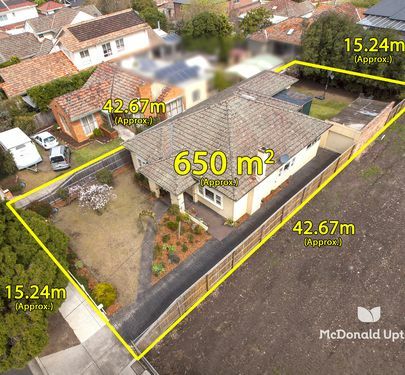 We’re not going to sugar-coat the situation here, this 615sqm (approx.) block, peerlessly situated at the high point of Hampton Road, offers sheer unbridled potential. The property currently comprises 4 bedrooms, central bathroom, lounge, kitchen, laundry and toilet; with the ghost of a once flourishing rear garden showcasing a magnificent magnolia and olive tree. In an area closely held by families and professionals alike, this is a rare chance to craft your own perfect lifestyle. 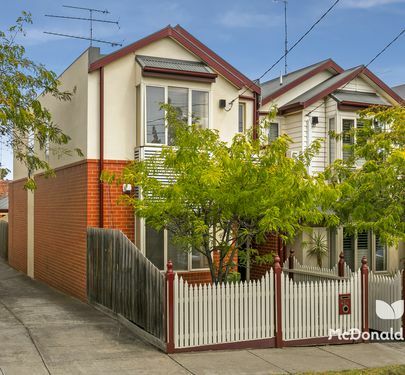 Locations don’t come much more convenient than this superbly located double storey townhouse on the door step to the bustling Union Road village and close to Ascot Vale Station and tram routes. Featuring ground floor bedroom (ensuite) dual-accessed toilet, stone topped kitchen boasting stainless steel ‘Bosch’ appliances and dishwasher, dining/lounge room, euro laundry and under-stair pantry/storage. Upstairs mezzanine study, bathroom and two carpeted bedrooms (BIR’s and cooling) , master providing en-suite. Ducted heating, security alarm and rear accessed remote double carport complete this ultra-convenient and thoroughly stylish executive property. 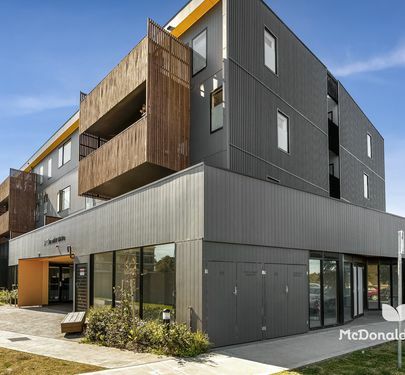 Empire Properties and McDonald Upton are proud to offer these unique luxury townhomes, all specifically designed to meet the demands of the discerning downsizer and owner occupier. 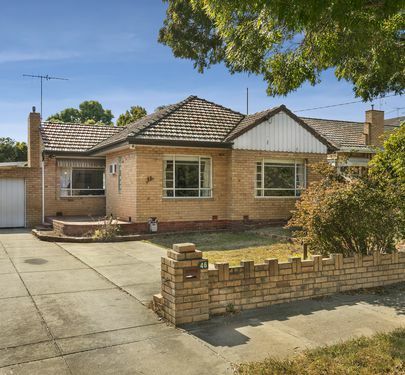 Perfectly located just around the corner from Essendon North Village and a short walk to tram and train. Designed by renowned architects Clarke Hopkins Clarke, the properties have started construction and are due for completion March 2020. Lots of flexibility for customising, easy communication with the builder/developer, stage by stage inspection on site for all buyers, luxury finishes and large interiors. Features include open and flexible floorplans, double garages, a choice of 2, 3 and 4 bedroom properties, smart technology, tall ceilings, private terraces and a focus on privacy. To learn more, contact Simone Tramontana 0402 215 179 and Sheryl Upton 0407 528 228 or call 9375 9375 to book an appointment to view project specifications. Do you want to connect with the beautiful outdoors? 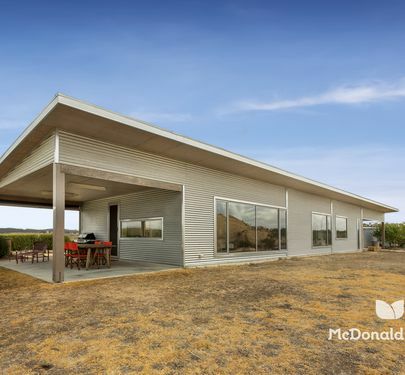 An environmentally friendly home, “Mud Hill”, set on 12.4 acres, is a healthy and thoughtfully planned lifestyle opportunity, with close proximity to Daylesford and the Mineral/Spa region. It is approximately 1 hour from Melbourne and 20 minutes from Ballarat. 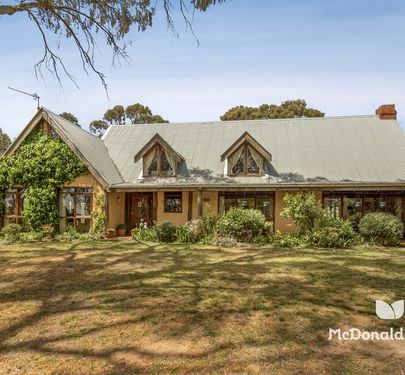 The ‘thermal mass’ of this large, character filled, mud brick home is an excellent temperature regulator, saving on heating and cooling all year round. This home offers an independent, self-sufficient and rewarding lifestyle that so many of us can only dream of. •	Wide hallway leading to large kitchen with adjoining family and dining area, laundry, boot room, pantry, recently renovated bathroom with bath. Whether it be waking up in the morning or relaxing in the evening, the ‘magical’ views bring about an amazing sense of peace and tranquillity. Please call Nicole Barrow today to arrange a private inspection. 0418 521 156. 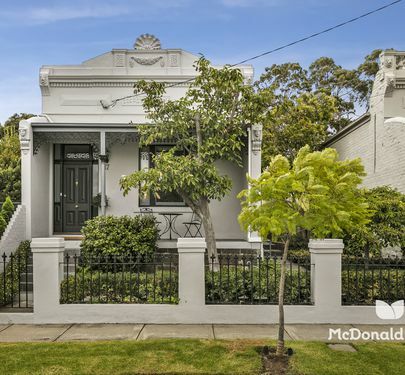 This eminently liveable Coburg home, walking distance to cafes, restaurants and specialty stores, with easily accessed transport, presents the perfect opportunity to refurbish, renovate or, STCA, redevelop. Currently comprising two bedrooms, central bathroom, kitchen offering stainless steel Smeg appliances and dishwasher, dining room with split system heating and cooling and separate lounge room. •	Tidy and liveable Californian Bungalow, easy to lease. Outside, a sheltered paved area, external second toilet, large lock-up single garage, smaller garden shed, outside trough and two room bungalow with laundry and additional shower facilities. Create the perfect inner city lifestyle or ideal investment property. Situated in the highly prized St Bernards Estate is this rare offering of a vacant residential house block measuring approximately 683m2. Build your dream home or redevelop (subject to council approval). Perfectly positioned at the 'city end' of the Estate within easy access to all facilities including local shops, Citilink access, airports and a host of great public and private schools. 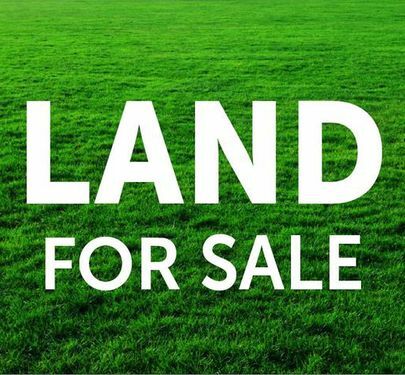 We are offerring LAND + PLANS + PERMITS....everything you need to build your dream home! 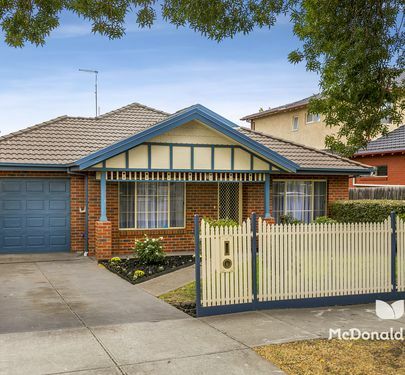 Enjoy all the conveniences that locals so treasure in the City of Moonee Valley whilst living just minutes from the glorious facilities of the Maribyrnong River. Walk to golf, tennis, water sports, leafy parks or simply keep walking. Super easy access into the Melbourne CBD and North to the airports. A host of public and private schools abound. 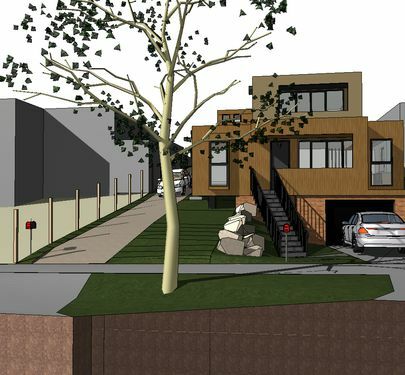 The approved plans are for a designer two storey, 4 bedroom/2 bathroom/2 car family home set on approx. 401m2. For a copy of plans please email agent. The owner of Lot 2 is open to discussing using the same builder for both properties. Should you not wish to use the current plans, buyers are free to seek their own permits to build from Moonee Valley City Council. NO COMMON PROPERTY. NO BODY CORPORATE. For more details and copies of plans, please contact Sheryl Upton 0407 528 228. 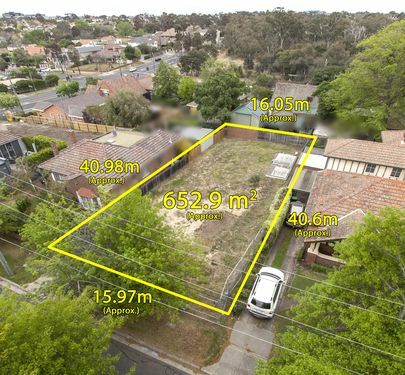 Presenting a rare opportunity to secure land in the prestigious Valley Lake Estate, just 13km from the centre of Melbourne. Take advantage of the freedom of design that a large block provides and create your own future in one of the most attractive housing estates to enter the market in recent times. Easy Villa Living, Move In And Enjoy ! One of a select block of villa units, securely tucked away from the hustle and bustle, this cosy property is the perfect first home, down-sizers delight or investment. Behind a gated entry, this light filled home features spacious air-conditioned lounge, timber-floored kitchen, meals area, laundry, central bathroom and separate toilet servicing two bedrooms, each with ceiling fans and spacious built-in wardrobes. 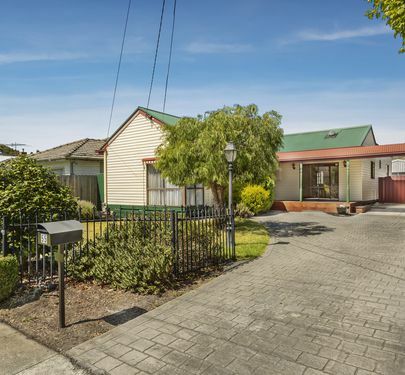 Leave the car at home and enjoy an easy walk to all the delights of North Essendon Village, Mt Alexander Road Trams and Glenbervie railway station. Quality carpets and a classic neutral interior palette throughout, along with single lock-up garaging and a delightful private rear courtyard complete this surprise package moments from Salmon Reserve, Woodlands Park, freeway and Citylink access. 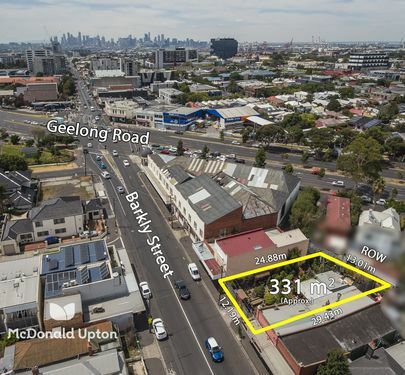 Rare vacant land in prime Footscray mixed-use zone. Currently let on month to month basis as a plant nursery, here is an opportunity to strike gold in the City of Footscray. 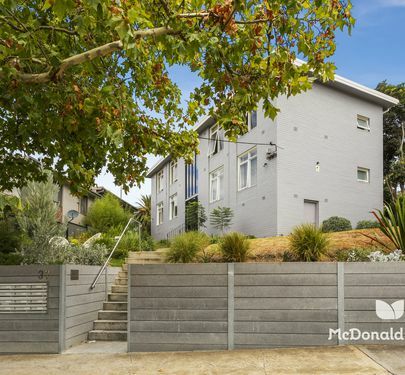 The future is yours on this flat allotment of approximately 331m2 fronting Barkly Street (11.88m) with excellent ROW access. The refinement of fresh spaces is instantly evident throughout this near new apartment in a distinctive, designer building that’s brought a superb contemporary edge to a location loaded with lifestyle advantages close to the comprehensive shops and services of Westfield Plenty Valley Shopping Centre, Bunnings, Spotlight and Dan Murphy's, with South Morang train station a short walk away with tram and bus routes easily reached. 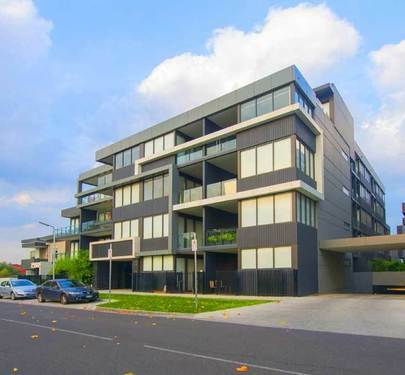 Currently leased at $380 per week, a property that provides pleasing investment income as well as offering outstanding owner-occupier appeal, this outstanding apartment promises prospects for significant ongoing growth. Crisp, clean lines define the external image of a great address, setting the tone for equally striking interior proportions including a sun-drenched living/dining domain that links seamlessly to a balcony created so that entertaining is elegant, enticing and easy. 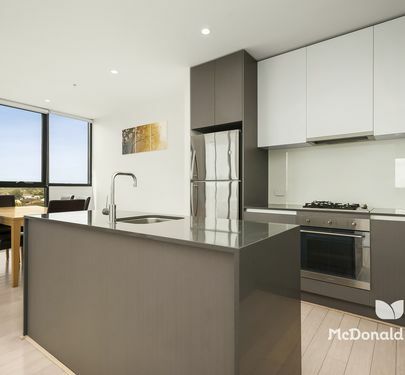 Stone bench-tops, stainless steel appliances and cook-top convey the quality of an open-plan kitchen while the same commitment to style complements two beautiful bathrooms that serve three bright bedrooms, including two with their own balcony access. Heating/cooling delivers constant comfort to an apartment that’s further enhanced by two secure undercover car parking spaces and 2 allocated storage cages. Call now for a private inspection. Embrace the excitement of executive-style living in the heart of Sunshine. This stylish fourth floor apartment offers easy, private living a stone’s throw from the bustling Sunshine Marketplace precinct. Just minutes to Albion station, local cafes, restaurants, schools and hospitals, it’s perfectly positioned for the busy professional and currently returns a strong rental income of $1477 per month. Bright and modern, the apartment features two generous bedrooms with mirrored built in robes, a spacious open plan kitchen/living area with island bench and floorboards, tiled central bathroom, split system heating and cooling, European style laundry and a fabulous entertainer’s balcony for alfresco dining while taking in the Melbourne skyline. For added convenience, it also comes with a secure undercover car space and storage cage. This big, bright one- bedroom apartment is perfectly positioned in this leafy and popular pocket of the inner city. 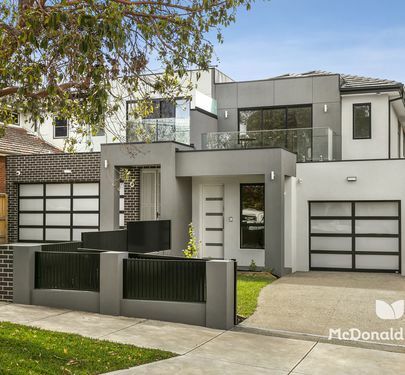 Nestled on the edge of the Travancore Estate, this property is an easy walk to tram and moments from the cycling track along the Moonee Ponds Creek. Presented in neat, solid original condition, the property is extremely liveable now and offers scope to add value through minor refurbishment. All set within a lovely garden block that residents are encouraged to share and enjoy. •	Generous living area with built-in shelving.